In the “old days” of real estate, most leads were generated through traditional face-to-face networking events and referral efforts. In the midst of the market crash, ZIP code searches by prospective homebuyers and sellers through Zillow and Trulia kept leads coming in, as homes came on the market through foreclosure. Today, third-party websites, portals and aggregators tend to be a huge lead generation source. Andrea Geller, an agent with Coldwell Banker, says that these websites also help with referrals and the careful maintenance of her brand. In 2013, the National Association of Realtors teamed up with Google to release a report titled “The Digital House Hunt: Consumer and Market Trends in Real Estate.” The joint study found that about 90 percent of homebuyers utilize the Internet during their search, while about 52 percent of first-time homebuyers cite the Web as the first step in their search. Leads that come in from online are typically viewed by Realtors as colder, and the study indicates that 40 percent of home purchasers wait at least 120 days from the time that they start online before making a move toward contacting an agent. However, 24 percent take action on the day that they start searching. Geller believes that the number one mistake made by many Realtors is failing to respond to contacts generated online and not following up on those potential leads. Zillow is her top source for leads that don’t come from her existing referral network. In order to get the most out of those contacts, she makes sure that she has a message going out to those people immediately, thanking them for contacting her and letting them know that she will follow up with them shortly. For cold leads that may take time to develop, she recommends using content management systems that allow a broker to stay in touch with people who may be a year or more away from buying a home. 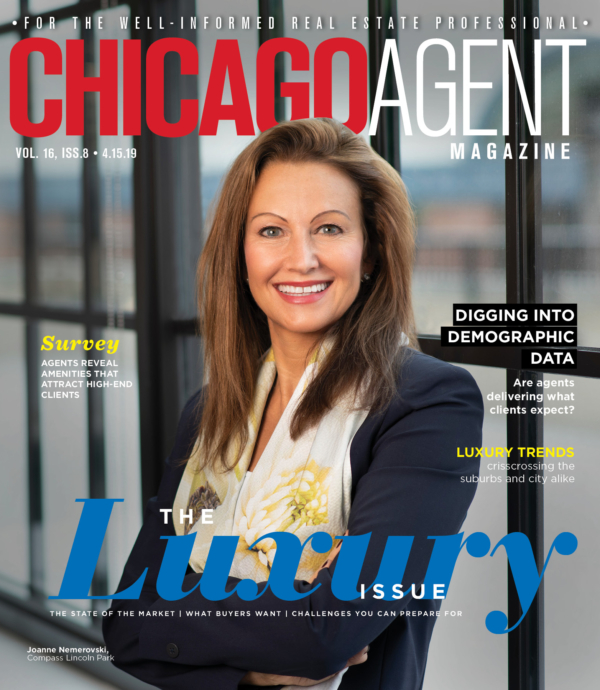 When Geller first became a broker in 1999, it was easier for potential clients looking for a real estate professional in the Lakeview area to find her through a simple Google search, when she was paying 20 cents per click to generate more Web traffic. Changes to Google’s search algorithms have since made a website’s content vital to where it falls among search returns, and Geller has started writing as a way to bring more traffic to her site. It’s part of a focused approach to maintaining her Web presence and building her online referral network. Geller uses third-party portals for her listings, but turns to social media platforms as a way to brand herself. She keeps a real estate blog and utilizes search engine optimization strategies to bring more people to her website. She keeps her listings on third-party portals that link back to her contact information. Geller closely monitors these various lead generation streams so that when a prospective client attempts to reach out to her via her contact information, she can reply right away. She also emphasizes the importance of agents posting regular updates to show prospective clients that they have a real presence in the areas they represent, and that they’re up to the job of marketing a property; old content or links that no longer work can make a bad impression. The low conversion rate on many leads makes it doubly important for agents to generate traffic for their listings through social media, and to keep potential clients interested. Agents can lose prospective clients by simply failing to respond to a request for more information, and can undermine their efforts to generate more leads by neglecting their referral network of past clients, friends and family. Metz keeps his network of about 3,800 followers informed through an approach that integrates several avenues of contact, including newsletters, emails and connections through social media. Metz is deeply entrenched in networking sites and regularly uses Facebook, Pinterest, Twitter and Instagram. Each day, he checks advertisements and messages for information that he can send out to his network, such as open houses, new listings and closed deals. Metz also brings in leads by advertising on social media, focusing on the areas of southern Lake County and northern Cook County that have become his specialty niche. He uses those ads to drive interest in properties located where demand is high but supply is low. Chat functions such as Google Talk and Facebook Instant Messaging have also become a big part of Metz’s lead generation strategy. When he meets people who have Google accounts, he sends them a request to be included among their Google+ circle of friends so that he can chat with them. The function allows him to update his profile with listings, making that information visible to them when they visit their inbox.